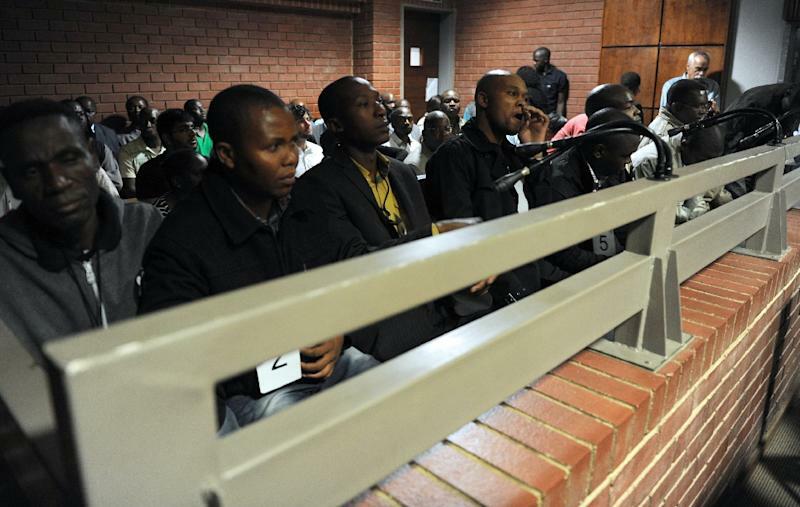 Johannesburg (AFP) - Eight South African policemen were jailed Wednesday for 15 years each for the murder of a Mozambican taxi driver who was dragged behind a police van in an incident caught on a mobile phone camera. 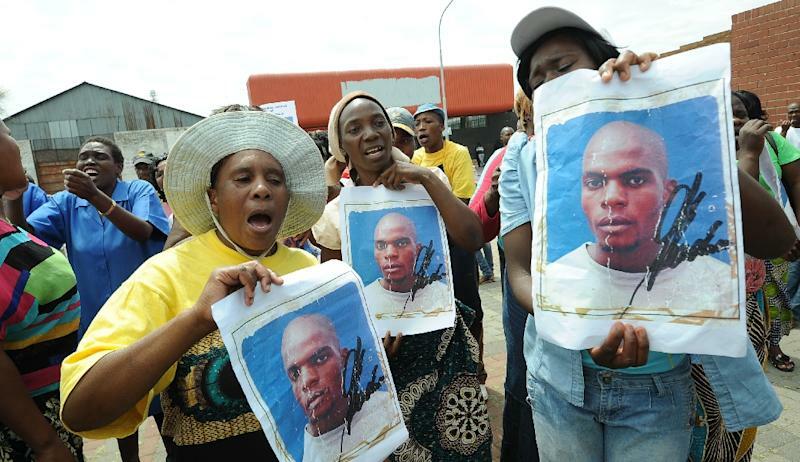 The death of Mido Macia provoked widespread outrage, throwing the spotlight on South Africa's police force, which has been repeatedly accused of brutality. 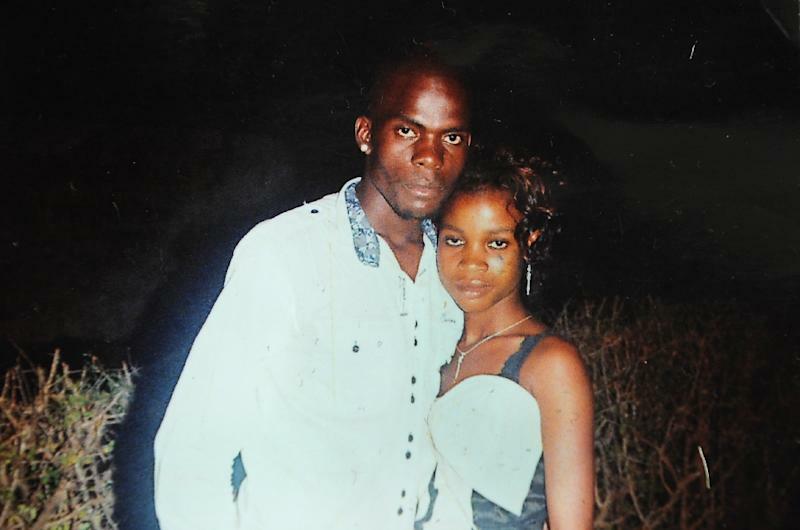 Macia, 27, died in police custody in February 2013 after being arrested for parking his car on the wrong side of the road in Daveyton, east of Johannesburg. Video footage showed Macia being manhandled, handcuffed to the back of a police van and dragged hundreds of metres (yards) along a road in front of a crowd of bystanders. Just over two hours later, he was found dead in his cell in a pool of blood. "Each of you are sentenced to 15 years imprisonment," High Court judge Bert Bam said in the capital Pretoria. "The arrest of the deceased and then dragging behind the vehicle was totally unnecessary, uncalled for and not justified at all." "What made their conduct more reprehensible was the cowardly attack in the cell on a defenceless and already seriously injured man." A post-mortem report found Macia suffered extensive head injuries, lacerations and bruising. The judge, who found the eight men guilty in August, said their behaviour was "barbaric and totally unacceptable" and the officers had "clearly abused" their right to use necessary force to carry out an arrest. "It goes without saying that the community is entitled to protection against behaviour of rogue police officers," he said. "Unfortunately this protection can only to a limited extent be provided by the court by imposing severe sentences in an attempt to prevent and deter others." The driver of the police van had claimed that he drove away to escape the angry mob, and did not know Macia was being dragged behind. But during the trial, the judge agreed with the state's case that the police were "trying to teach the deceased a lesson" for swearing at the arresting officer. At the time of the death, South Africa's President Jacob Zuma described the video as "horrific, disturbing and unacceptable". The country's police force is frequently caught up in allegations of misconduct, but successful convictions have been rare in recent years. Four police officers were this week arrested on murder charges after a video emerged of an execution-style killing of a suspected robber on a suburban street. Footage from closed circuit television showed police firing at the man from close range as he lay on the ground in Krugersdorp, a town west of Johannesburg. In the worst police violence since the end of apartheid, officers gunned down 34 striking miners in August 2012 at the Marikana platinum mine north of Johannesburg. A judiciary inquiry into the killings laid much of the blame on the police force for its conduct in trying to disperse the strikers, but no officers have yet been charged over those killings.